You can buy everything on the Internet. Cars, houses, lemon trees, envelopes full of glitter. The list goes on. Now, people can buy beds online without leaving the comfort of their homes. With seemingly hundreds of options out there, how does one sift through all the information to find the perfect bed? That's where we come into the equation. We're confident this guide will be a great starting point for you in your buying process. Feel free to leave us a comment below. The comparison table below showcases our top 9 online mattresses that come shipped in a box. Want to view some online mattresses that aren't shipped in a box? Here are our top mattress picks for 2019. If you are looking for an exceptional value and that slow melting feeling into the deep hug of your bed, you have found it with Nectar. Specialized foams will cradle both your heaviest and lightest points for uniform support and comfort. This bed delivers pressure relief and motion isolation that memory foam lovers look for, but you should not feel trapped. 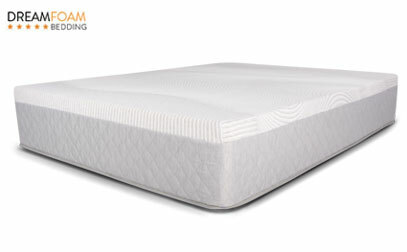 The top layer’s breathable gel foam helps keep your body temperature regulated, and the cotton cover is quilted with an additional layer of memory foam for a plush and luxurious-looking finish. What makes it special? 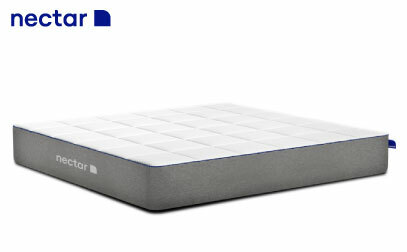 Nectar’s balance of comfort and support represents a terrific value in the bed-in-a-box space. This 11-inch online mattress is stacked with high-end materials but it does not come with a high-end price tag. Furthermore, Nectar has one of the most generous sleep trial and warranty packages in the bed-in-the-box business. The company will let you keep the bed for 365 days, and if it is not the best mattress for you, you can return it for a full refund. The Forever Warranty stays in place for as long as you own it. Learn more about this mattress in a full review here. 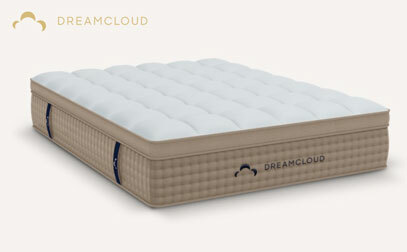 “Affordable” and “luxury” are rarely two words that go together, but DreamCloud has thoughtfully combined the two in their hybrid mattress solution. If you want to be cradled in cashmere, cooled by gel infusions, and relaxed into a design with zoned support that lets your body sink in and be supported in just right, this may be the bed of your dreams. What stands out? The premium materials and features in DreamCloud are at a great price point. 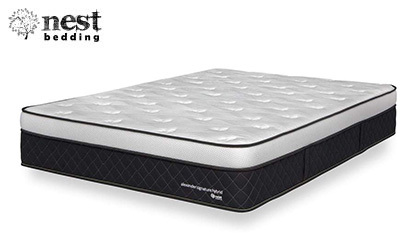 Often seen as “the best of both worlds,” this particular hybrid design combines the merits of memory foam, latex, and innersprings to comfort and support sleepers all night long. In addition to the qualities listed above, it also sports a EuroTop that is skillfully hand tufted for added durability. Wondering if this is the right pick for you? When you order, the company gives you 365 risk-free nights to try it out, or your money back. If you decide to keep it, you can get a professional cleaning after the first year and another in five if you need it. Still want to know more? Check out our in-depth review here. If you are on the fence about firmness, you will like that Layla does not make you choose because you get both a Soft and a Firm memory bed packed all in one box. Enjoy the deep, pressure relieving hug of one side or simply flip the bed over for something a bit firmer. One of the most common complaints about memory beds is that they sleep too hot, but newer beds are finding creative new ways to address this problem. Layla’s up-to-the-minute cooling technology incorporates cooling gel and copper, which is a highly-conductive and antimicrobial material that helps keep your sleep space clean and cool. What makes it unique? The Soft side of Layla serves up a truly classic memory foam feeling that will melt away your pressure points and cradle you deep into the mattress for a cozy hug. Side sleepers (see our guide), who sleep with their weight concentrated on a smaller space, will especially enjoy the pressure relief of the Soft Layla. And you can forget about motion transfer; Couples sharing this bed will sleep blissfully undisturbed by movement. If you find yourself in need of a little more support and want to sleep more on top of your mattress, all you need to do is flip to the Firm side. To learn more about Layla Bed, go to our in-depth review here. Nest Bedding’s Alexander Signature Hybrid, which is a blend of memory foam and Quantum Edge pocketed coils, is so packed with luxury materials, it is hard to believe this 13.5-inch mattress sprang out of a box. There are three separate performance foams that make up the comfort layers of this bed and each has their own unique cooling technology. With air circulating through the coils, this is a memory hybrid designed to sleep cool while still delivering the comfortable pressure relief for your joints. What makes it stand out? This hybrid’s thoughtfully engineered layers provide the best of both worlds of foam and innerspring mattresses and a truly substantial structure that stands out among other mattresses that have been compressed into a box. Many bed-in-a-box brands do not have exceptional edge support, but the Quantum coils that extend the entire length and width of the mattress give this bed edge that excels far beyond many competitors in this market. To see more details about this hybrid model, see our full review here. With its mid-range firmness and quick-responding foams, Casper is able to provide versatility in a bed-in-a-box option that does not feel like a compromise. Its design was engineered to accommodate a diverse population of sleepers and their individual sleep preferences. The newest update to Casper’s original model has incorporated a Zoned Support™ system that places an extra bit of firmness in the center of the bed where the hips rest, which helps keep the spine straight regardless of your sleep position preference. Why did it make the list? Combination sleepers who alternate sleep positions and couples with different sleep preferences should love the way bed-in-a-box Casper can adapt to their individual needs. The new addition of zoned spine support is especially ideal for exclusive stomach sleepers (view all of our picks), who need extra lift under their midsection to maintain spinal alignment. A more versatile mattress helps build a comfortable space for you and your partner without any unnecessary sacrifice to individual comfort and support. How versatile it is? Find out in our full test here! 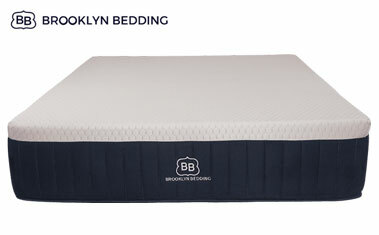 Brooklyn Bedding’s Aurora is one of the coolest bed-in-a-box hybrids we have reviewed, both literally and figuratively. 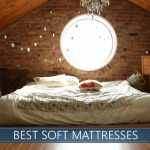 If you have been steering clear of mattresses with foam because you’re convinced they sleep too hot, you will want to check out this mattress. What is its best feature? Brooklyn Bedding has gone above and beyond to incorporate performance technology that will keep this hybrid bed-in-a-box cool. First, special phase change cover technology carries heat away when you are hot and releases it again when you are cold, and each foam layer has a different additive to keep heat from building up around your body, from super-conductive copper and high-performance gel. Finally, the base is a thick layer of pocketed coils that allow air to circulate and regulate temperature. This hybrid is not just cool, it is also ultra supportive with Quantum Edge pocketed coils that give the bed bounce and three layers of proprietary comfort foam to melt away pressure. The Aurora holds a lot of high-end value at a terrific price because Brooklyn Bedding owns its own factory and can pass on substantial savings to their customers. Learn more about this cool model here, if you want to see in-depth details, feel and firmness. What if you could buy a mattress and save a walrus at the same time? Or an eagle? Or a shark? Nolah’s commitment to wildlife preservation really impressed us, which is why we put it on our list of best bed-in-a-box mattresses. Why is it special? Before checking out with your online order of a Nolah bed-in-a-box online mattress, they give you the choice of several endangered species to let you choose your favorite and a portion of your mattress’ cost goes to help bring that endangered animal back from the brink of extinction. Nolah mattress was built with the company’s proprietary Nolah Airfoam, which they say is a perfect blend of everything great about latex and memory foam. It conforms to your curves for some top-notch pressure relief while retaining none of the heat associated with memory materials. The natural viscose cover wicks away moisture and keeps the air circulating while the supportive base provides bounce that makes the surface of the bed easier to navigate. If you want to know more about Nolah bed before purchasing, see our full test here. Every purchase of a Helix hybrid starts with a quiz, but you do not have to study for it. 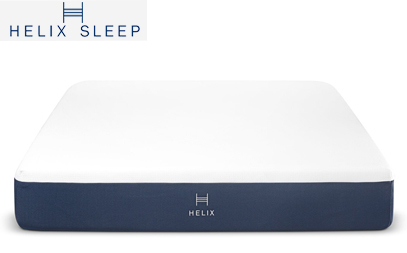 All you need to know is your body type and how you prefer to sleep at night, and Helix will help you select one of their 9 customizations that should match your needs and deliver your best sleep. What makes it unique? Unlike other bed-in-a-box hybrids with around three different feels that make you guess which works best, every Helix is based on a quiz where you describe your individual body and needs, taking the guesswork out of mattress buying. Even better, the company can customize both sides of the bed independently or create the perfect blend of features so that you and your sleep partner can both receive the best possible sleep. Though exact specifications will vary, your Helix may include the company's own blend of memory foam, a layer of dynamic pressure-relieving comfort foam, a layer of pocketed micro coils, and a thick base layer of high-density poly foam. Side-by-side customizations are available on sizes Queen and larger, but unlike some other customizable brands, the bed is not split down the middle and you should not feel a seam. How can you customize this bed? Find out in our full review here. If the constraints of your budget are putting a damper on your mattress dreams, Dreamfoam may have a solution for you with their Ultimate Dreams Supreme 12” Gel memory bed. Dreamfoam, owned by Brooklyn Bedding, believes in offering more quality for less money, and they are able to do it by owning their own manufacturing facility and passing a generous amount of savings on to their customers. This bed’s three-layer construction includes two layers of 4-pound memory foam, and the top layer is infused with gel to help the surface temperature regulated. A thick 8-inch base layer of high-density polyurethane base provides excellent support for a wide variety of body types and weights. The medium firmness is accommodative for all sleep positions. Why does it stand out? This mattress easily stands even with many retail brands with similar materials but is available for thousands less, and it is budget friendly even compared to online competitors. We made a review for this Dreamfoam budget choice, you can check it out here if you want to see in-depth details. If you’ve ever moved and taken your mattress with you, you already know the biggest difference between a traditional bed and a mattress in a box. The weight alone makes most people want to ditch the heavy beds and get something that’s slightly more lightweight in general and compresses nicely into a single box. We should warn you, however, that the compression is done at the factory. If you do move, you won’t be able to fold your mattress into a compact box. But, in some cases, it will much lighter weight and easier to get from point A to point B. Also, not all beds you buy online are compressed. Some arrive in full-size packages, but even then, some are still less cumbersome than a traditional bed. Weight isn’t the only difference. And it’s not all sunshine and unicorns with boxed mattresses, either. In the next section, we’ll go more in depth about the pros and considerations of buying a bed in a box (BiaB for short), versus sticking with a traditional mattress. The most obvious pro to buying a BiaB is the price. These products are usually dramatically less expensive than what you’ll find in a mattress store. The main reason is that by selling directly to you, the consumer, they’re able to cut out the middleman. They no longer have to take into account the retailer’s profit margin, their staff, and the showroom. Here’s a real-life example. Let’s say a medium quality mattress costs $400 to make. A mail order mattress company can sell it to you for about $1,000 and still make a hefty profit, even if they pay for the shipping and offer generous return policies. However, if that same product is sold to a store before it gets to you, they’ll have to sell it to the retailer for about $700 to $800. Since they’re selling in bulk, they can offer it to them for a little less. But then, the retailer now has to make a profit. So, they may double or triple the price that they paid. By the time you walk into the store, that same bed is now going for between $1,400 and $3,200. Another pro, which we’ve already talked about, is how much easier they are to get to your house. We won’t belabor this point, but it’s a top reason many people prefer to buy online. The other advantages to buying a bed online are the convenience and the ability to do comparison shopping. Buying online negates the need to drive around, deal with pushy salesman, and go through the tedium of lying on a bunch of mattresses that all feel the same. Plus, when you shop online, you can easily compare prices, read reviews, and look at the construction and materials of several brands, all while still in your pajamas or waiting in line at the post office. The thing that gives some people pause before buying something like this online is the inability to try before you buy. Considering we spend a third of our lives sleeping, it’s logical that you want to know what you’re getting into. There’s nothing worse than lying down in a bed that you’ve spent a lot of money on and feeling uncomfortable. There are some brands that have showrooms and Airbnb partnerships, but most of the time, you won’t be able to test it out before ordering. Fortunately, most of the mail order mattress companies have very generous trial periods. Depending on the brand, you can often try the online mattress for three months up to a full year, and if you don’t like it, you’ll be eligible for a refund. Most mattresses are designed to last at least seven to ten years. Fortunately, many brands have long warranty periods – some are even lifetime. One of the most common and inexpensive options is a memory foam mattress. Memory foam is that cushiony material that conforms to your body, making it feel like your bed is giving you a soft and gentle hug. Memory foam mattresses tend to have the highest satisfaction rate among sleepers, mostly because they’re incredibly comfortable and the way they conform to your body makes the bed feel more custom than a traditional innerspring mattress. There is a wide range of quality and price when it comes to memory foam. Some of the cheapest and some of the most expensive options you’ll find are both made from memory foam. The differences will have to do with the type of foam used in the bed, how dense it is, if it has additives like gel or copper, whether it’s made in the US or abroad, and whether it’s certified to be non-toxic. Latex is a lot like memory foam in that it’s a contouring material, but unlike memory foam, you don’t sink into it as much. It’s known for having a bit of bounce, too, which is ideal for couples who are sexually active. There are two types of latex: natural, which is sourced from the sap of a rubber tree; and synthetic, which is petroleum-based. Natural latex is more expensive, but sometimes it's also more durable. If you’re price sensitive, a good option is to get a mattress that has a blend of both natural and synthetic materials. You can see some of our top picks here. 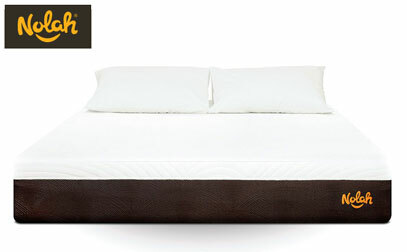 Hybrid mattresses combine innerspring coils with foam or latex. Typically, the base of the bed will consist of coils, and the top layers will have different types of foam for cushioning and support. A hybrid is usually a little more expensive, but they’re a popular choice among people who are reluctant to stray from the innerspring construction they grew up on. Having a bed that keeps you cool is important, not just in the summer months. The reason is that when we sleep, our body’s temperature drops, and we shed heat. If our mattress is a heat trap, then we can end up getting hot and uncomfortable. Unfortunately, memory foam is known for “sleeping hot,” so if you’re evaluating a memory foam mattress and overheating is an issue for you, make sure you find one that has cooling properties. This could mean either infusions of gel or copper that conduct heat and draw it away from your body, or an open cell construction that allows for breathability and air flow. Phase change materials is another solution. Latex and hybrids will generally allow you to sleep cooler, but again, if you do tend to sleep hot, make sure you pay close attention to what the top layer of the bed is made out of and look for something that is designed to help you stay cool. When you shop at a brick and mortar mattress store, there’s not always a correlation between price and quality. A lot of times stores will price their selection based on the deal they struck with the manufacturer, or what they need to move versus what they can afford to keep on hand longer. However, in the online bedding space, it’s easier to judge the quality of what you’re getting based on price. You’ll also notice that higher priced brands use premium material and often contain more natural substances, rather than synthetic. More expensive products tend to have higher density foams. Mattresses starting at about $600 tend to perform really well and much less than store models. If you see a queen bed that’s $500 or less, make sure you do your research to make sure it won't sag within a year or two, so you don't end up having to buy something new. If you’re looking at hybrid mattresses, you may spend significantly more due to the more sophisticated construction and premium material blend. However, hybrids can be a very solid option and worth looking into. In most cases, you won’t be able to visit a showroom and meet with a company representative. There are exceptions, for example, if the company does indeed have a showroom and you happen to live close by, but again, you probably can’t count on this. Instead, you’ll have to rely on a company’s online reputation and their website to find out if you’re dealing with a company that’s reputable and produces a quality product. Fortunately, you’ll be able to read reviews from verified purchasers as well as read our carefully researched reviews in this article. We also recommend browsing the company’s FAQs page to make sure you know how to get a refund or submit a return request if you buy something and you don’t like it. Remember that the length and flexibility of a company’s warranty policy can sometimes be an indicator of their product’s quality. For example, a company that stands behind their product for a lifetime seems more credible than one that stands behind its performance for only a year. However, you should make sure to get into the fine print to see what exactly the policy entails to make sure it is inline with industry standards. The saying goes that if it sounds too good to be true, it might be. The same goes for mattresses. If you find something for a couple hundred bucks, it might be tempting to buy it. 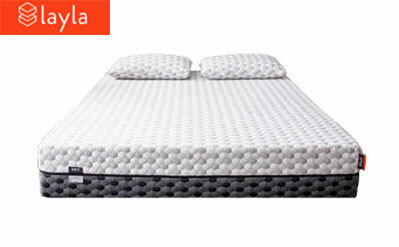 Online, a lot of these mattresses look pretty similar, and you’ll see the same buzzwords mentioned time and again. However, there are differences to watch out for, and a bed that is $200 versus one that is between $600 and $1,000 will have cheaper materials that might not hold up over time. A cheaply constructed mattress can sag within a couple of years (if not sooner). And those cheaper materials are often toxic. If you see a mattress that looks comparable to a higher-priced brand, look closely. Check to see if the materials have any safety certifications, review the warranty policy, and also check to find out if there are shipping charges. Some companies will lure you to their site with the promise of a low price, but then when you go to check out, you might find that the cost to have the bed shipped to your home is as much as the price of the bed itself! However, there are times when getting a cheaper model is really suitable, like for a guest room or temporary living space. There are many great models available for that type of use. We talked a little bit about how some mattress materials cause your body to heat up. If you’re prone to getting hot at night, you should exercise caution when you evaluate memory foam models. The lower-end options mostly use pure memory foam, which can trap your body heat and make sleeping comfortably a challenge. Instead, you can consider either a hybrid or latex mattress. Innersprings with their circulating air are known for sleeping cool. But that does not mean that memory foam is completely out. If you’re set on it, look for options that have a breathable design or gel or copper infusions that work to draw the heat away from your body. There are a few reasons to double and triple check the warranty policy before you make a purchase. Brands with strong quality products tend to offer long warranty periods. You’ll see a range of warranties ranging from about ten years to a lifetime! But the length of the warranty isn’t the only thing to consider. You should also check to see what constitutes a warranty claim. Take a look at how much “sag” your mattress has to have before you file a claim. The technical word for this is an “indentation,” and it is usually anywhere from .75 inches to 1.5 inches. The lower the number, the better the policy it tends to be. By the time your bed is sagging an inch a half, you could be miserable. To put this into perspective, a 1.5-inch sag can make it seem like the middle of your body is sinking into a pit and throw your body’s alignment totally off. Where is the Best Place to Buy a Bed in a Box? There are many places you can order a bed in a box. While most are online, some companies even have showrooms where you can test the mattress out before conveniently ordering one. For trusted and established brands like Casper, Nectar, and others mentioned above, you can click the link to their site and order directly through the company. There is next to no worry, as the manufacturers have generous trial and warranty periods. Third-party sites with the same brands, however, do not always come with same perks. You can also order beds off of sites like Amazon, Walmart, and Costco. Amazon has an exceptionally wide range of products – even top brands. If you order from Walmart or Costco, just make sure to read the reviews so you have a clear picture of what you are ordering. Which bed in a box is the softest? Memory foam and latex usually provide enhanced softness, though there are some softer innerspring models available as well. Among most mattress in a box brands, you’ll be able to choose different comfort layers, such as soft or plush, medium, and firm. If you end up buying a bed and it’s not soft enough for your needs, consider purchasing a mattress topper. Quality toppers start at about $50 and allow you to customize the feel of your bed without the hassle of a return. Depending on the brand, some organic beds can tend to be softer than non-organic beds, such as those that use wool and cotton in their covers. Brands with organic offerings tend to price their beds higher, but since natural and organic materials are often more durable, it could be a worthwhile investment if you have aligning priorities. Which frame should I use for BiaB? Most of the time, any frame will do, but there are exceptions and a few limitations. Each brand will tell you specifically which types of frames are suitable and which ones to avoid, but we’ll get you started with some things you’ll need to consider. Some frames have slats that are too far apart. If you’re looking for pure memory foam beds, you should get slats that are closer together to prevent dipping. Also, if you want an adjustable base, keep in mind that not all mattresses will accommodate that, particularly hybrid/innerspring models. However, this isn’t universal, and there are several hybrid brands that do indeed work well with adjustable bases. It might seem odd to buy something like a bed on the internet without even trying first. We get it. But it might also feel kind of weird to walk into a giant mattress showroom and lie down on a bed fully clothed under fluorescent lights with a pushy salesman breathing down your neck steering you toward a mattress that’s going to earn them the highest commission. Now that there are so many companies vying for your attention, the quality, selection, and pricing of beds available online are better than ever. Now’s the time to take advantage of this buyers’ market! Online? Where’s The Best Place To Purchase A New Bed? I am trying to find a mattress for my sofa bed. The sofa is almost new and I do not want to get rid of it. Are there any bed in a box mattresses that would work on a sofa bed (or sofa-sleeper)? Many bed-in-a-box options work well with adjustable bases, but a sofa bed requires a bed to fold in half. It’s best to find brands designed for that function specifically. Try searching for best sofa bed mattresses. Which bed in a box would your recommend for our guest room? 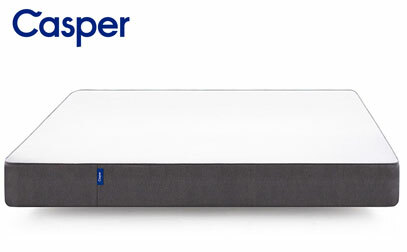 The Casper since it’s the most versatile? Everyone’s individual needs are different. All depends on what sort of guests you tend to host and what your budget is. Any on this list would be a nice choice. Best of luck to you!